This is a KGS game between Taelia 17k (White) and myself (HandOfHair 17k?, Black). I lost by 6.5, but I thought I would point out what I did here. I am trying to gain an advantage in the upper left corner. 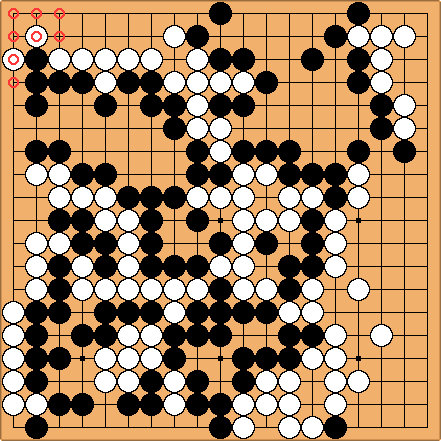 I admit that this tesuji doesn't look too hard (we were both 17k), but I did a board pattern search and couldn't find anything similar already posted.